Open since December 2007, Paddy Whacks is South Street favorite Irish Sports Pub. Our laid back neighborhood spot is popular for casual meals, happy hour specials and late night fun. During football season, crowds line up along the bar to watch one of our HDTVs. On Fridays and Saturdays, our house DJ spins all of your party music. Local bands take the stage all weekend long during happy hour. 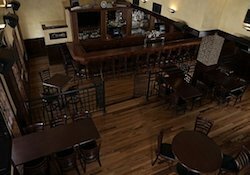 Guests can sign up for a free happy hour and to Guest Bartend, just go to www.paddywhackspub.com! Gameday: $2.50 Bottles of Bud Light, Bud, Bud Light Lime, & Michelob Ultra during all Eagles, Phillies, Flyers, & Sixers Games.